I don't know about you, but my kiddos always have so much more energy and excitement this time of year! So my philosophy on this it to EMBRACE it! 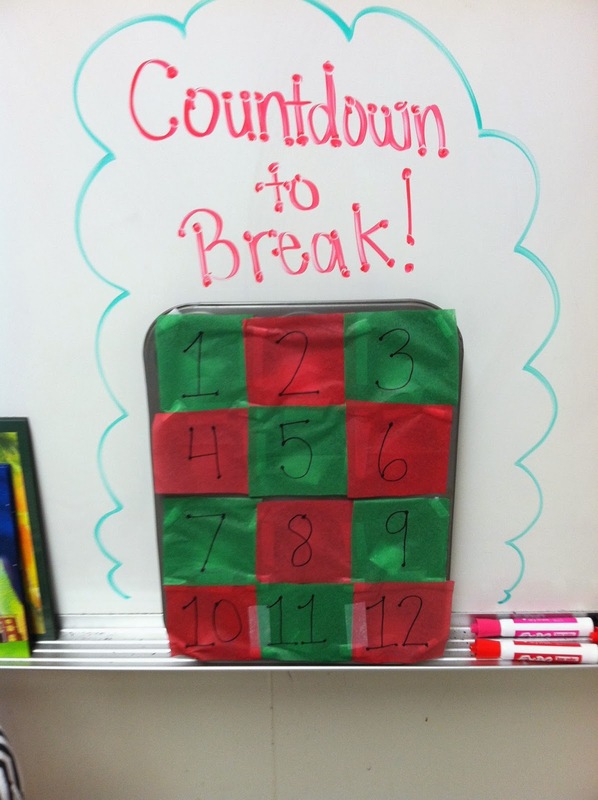 I created a countdown to Christmas/Winter Break! It's a muffin tin that is filled with little papers that have an "extra" thing to do for each day. Some things are simple. Some things aren't really "extra" like Day 12 is our party on the last day. One day is making ornaments for their parents. Mostly things I would normally do, but the kiddos think it's extra special! It's a lot of fun and after finding Rocky, our elf, it's the first thing they ask about in the morning! Since this post, I have created another post with several ideas for implementing this into your classroom. I've also created a free printable to go with it. Check out the new post here! Love the idea! 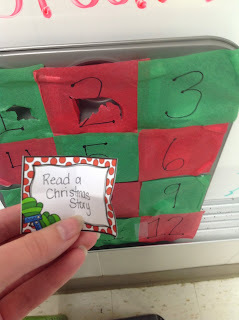 I'm doing something very similiar with an advent calendar that a friend gave me. The kids love seeing what "we're working for" each day! 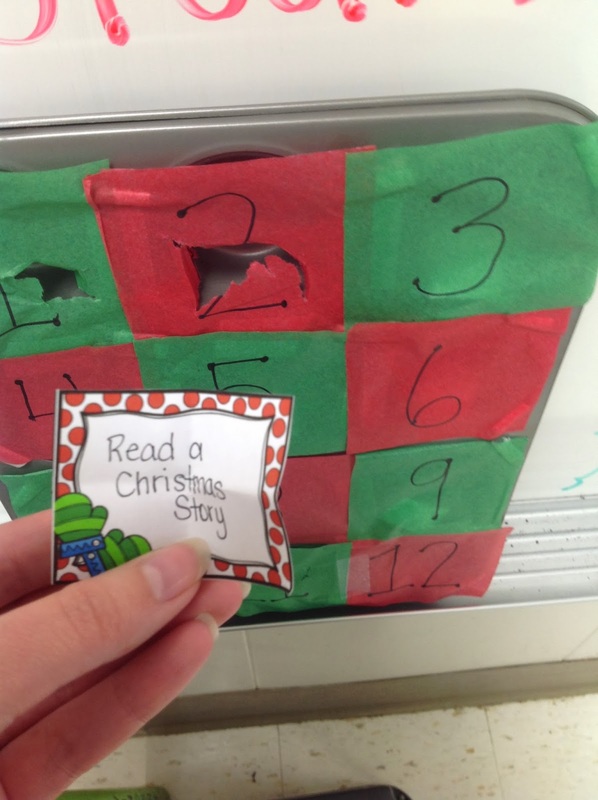 I love this idea...I'm going to need to do this for my kiddos. We only have 10 days left, but I can make it work! Thanks for sharing. Cute idea I think I will try to work into my science classroom with my kiddos in k-5. They could each pick one when they come in for the last week before Christmas. Thanks for the inspiration. I absolutely love this idea! I might even do this at home with my girls! I love this idea for my own children!!!! This is a great idea for school and home. Thank you! OMG Rachel! This is the cutest idea! 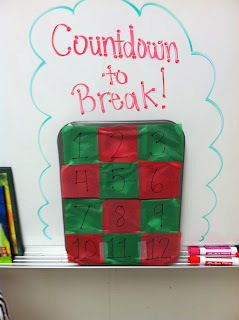 Very motivating and a great way to keep your students looking forward to a "treat". I'm so glad you shared and linked up! Have a super week! How fun!! This is a fabulous idea. I'm not sure I can pull it off this year, but I'm pinning it for next year! !